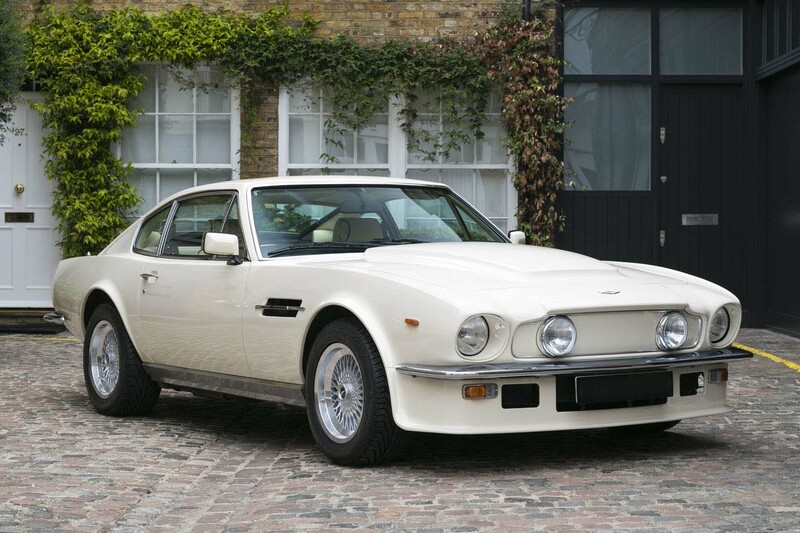 The Aston Martin V8 Vantage was hailed as “Britain’s First Supercar” for its 170 mph (270 km/h) top speed when introduced. Its engine was shared with the Lagonda, but it used high-performance camshafts, increased compression ratio, larger inlet valves and bigger carburettors mounted on new manifolds for increased output. Straight-line performance was the best of the day. 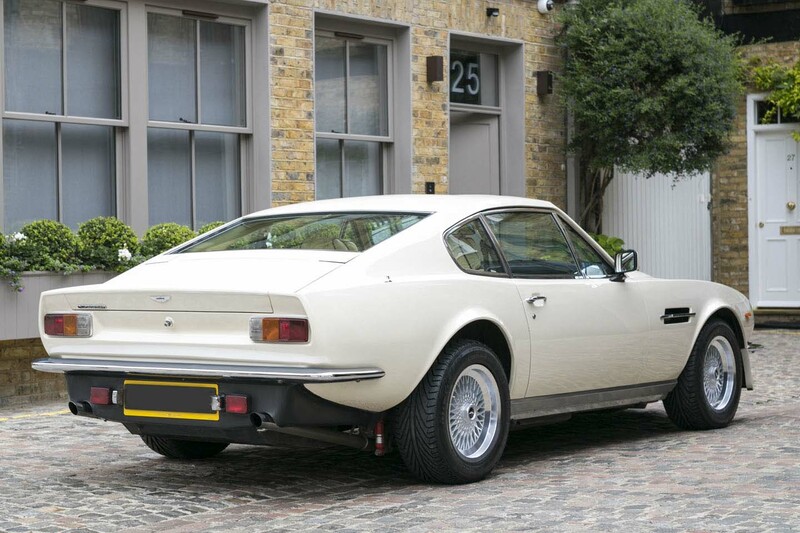 When Motor Magazine tested the V8 Vantage V580 an incredible 0 to 60mph time of 5.2 seconds was recorded, which was quicker than the Ferrari Daytona, its main competitor of the time! One of the most noticeable features was the closed-off hood bulge rather than the open scoop found on the normal V8. The grille area was also closed off, with twin driving lights inserted and a spoiler added to the boot lid. 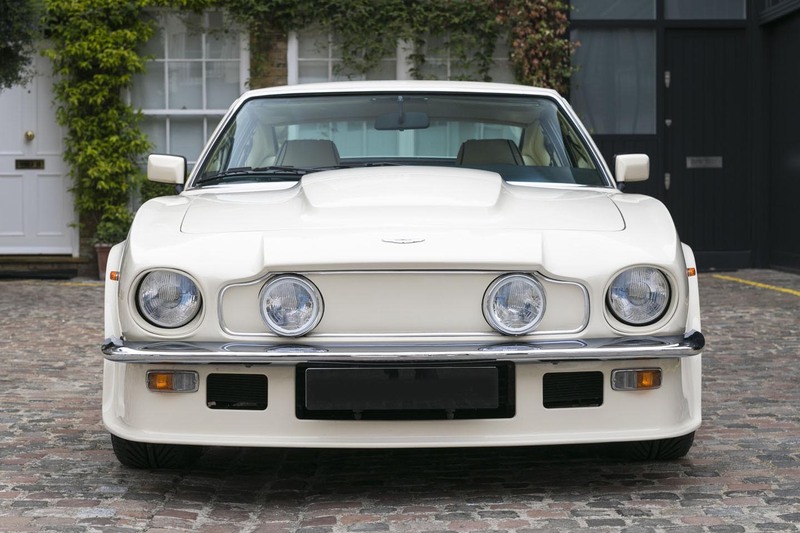 The 580 Vantage was more of a mechanical update which included the more powerful V8 from the limited-edition V8 Zagato. 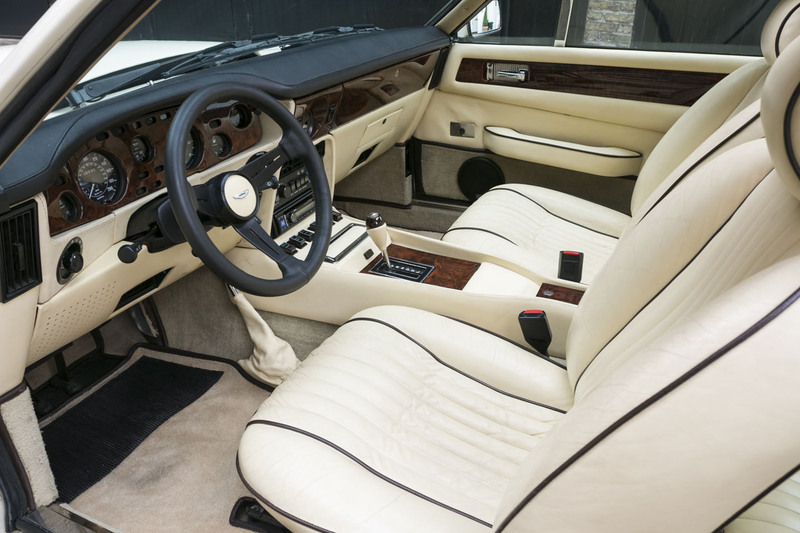 Our car was commissioned to be built in 1984 in Cheltenham Beige with Magnolia Hide Interior as the car is presented today. Fitted also with the highly desirable electric operated sun roof. 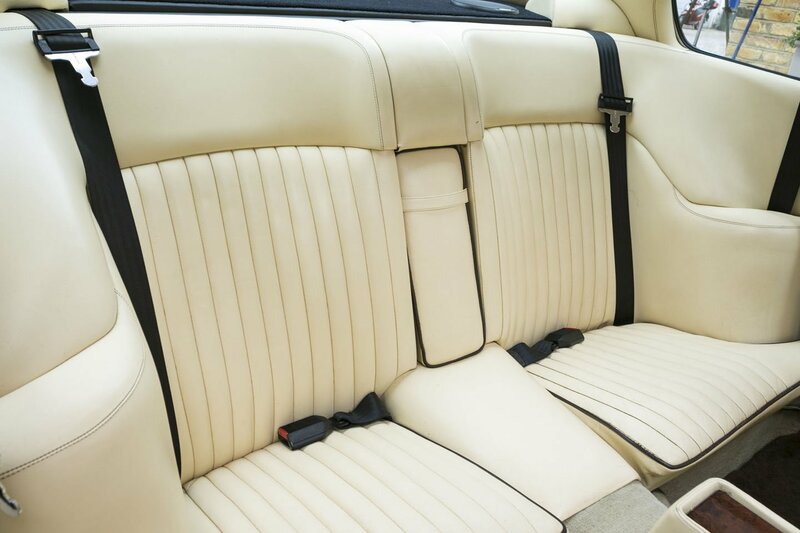 Contemporary restoration works were carried out by RS Williams Ltd (Factory Heritage Service Centre) in 2015 and further works in 2016, on Hexagon Classics acquisition, were also completed by an official Factory Heritage Service Centre. 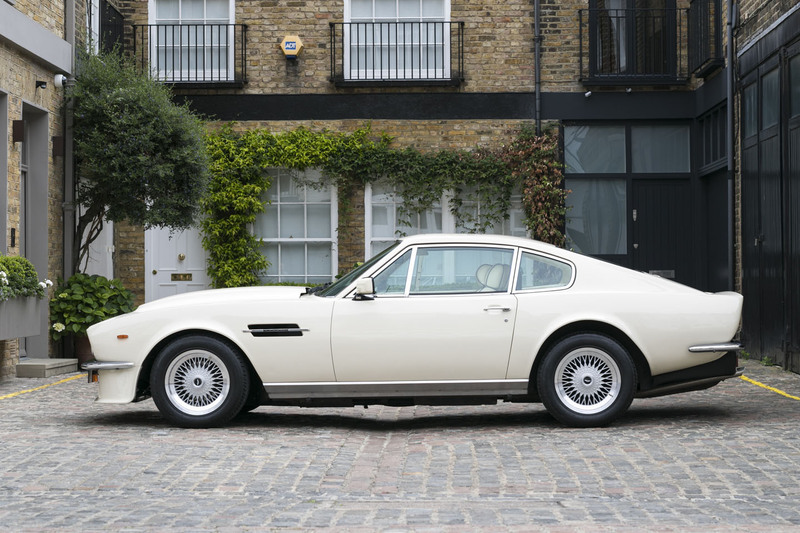 Without doubt an ultra-rare opportunity to acquire the highly desirable Vantage (580) Coupe in Left Hand Drive which we understand from factory records is just 1 of only 3 motorcars built to this specification with a current speedo mileage reading of 8,587 miles.